Photo courtesy of Rick McCharles. Prime Minister Stephen Harper travelled to Sept-Iles, Quebec, last fall to announce a key step toward opening yet another part of Canada to petroleum development. The federal and Quebec gov­ernments, he said, had agreed to table legislation launching the search for oil and natural gas in the province’s portion of the Gulf of St. Lawrence. In what has become a familiar story – think Northern Gateway, Keystone XL and Energy East – Harper’s announcement raised the temperature of a battle between those aiming to exploit the Gulf’s petro­leum resources and critics who want the in­dustry barred from this rich and fragile en­vironment. The latter include First Nations, environmentalists, and many in the fishing and tourism industries. At issue is whether this is an area that should simply be off limits. “Whether you are a whale scientist, a fisherman, or you’re on holiday on the shores of the Gulf, this issue and this place touches all Canadians,” says Gretchen Fitzgerald, Atlantic campaigns director for Sierra Club Canada, which is part of Save Our Seas and Shores, a coalition opposing development. The Geological Survey of Canada esti­mates the Gulf holds 39 trillion cubic feet of gas, equal to about half of Canada’s current known reserves, and, conservatively, 1.5 bil­lion barrels of oil, a significant amount al­though tiny compared with the nearly 170 billion barrels in Alberta’s oil sands. The search for the resource has proceed­ed sporadically since the mid-1960s, with 60,000 kilometres of seismic surveys and 10 exploration wells, mainly in the southern Gulf. The drilling produced just one “sig­nificant” gas discovery; the other wells were “minor shows” or came up dry. Five provinces share jurisdiction over the Gulf. Each negotiates with Ottawa to create an offshore board for its zone. The boards are required to conduct open bidding for exploration permits as well as ensure that proposed projects undergo environmental assessments and measures are in place to prevent and respond to spills. Project oper­ators are responsible for cleanup costs and damages up to $1 billion. Each province sets and receives its own royalties. Nova Scotia and Newfoundland and Labrador got boards nearly 30 years ago to manage development off Sable Island and Newfoundland’s east coast. Quebec, which allows drilling on Anticosti Island and the Gaspé Peninsula but suspended offshore ex­ploration in 1997, agreed with Ottawa three years ago to begin the steps toward a board. The legislation announced by Harper will put that deal into effect. New Brunswick wants to start negotiations. 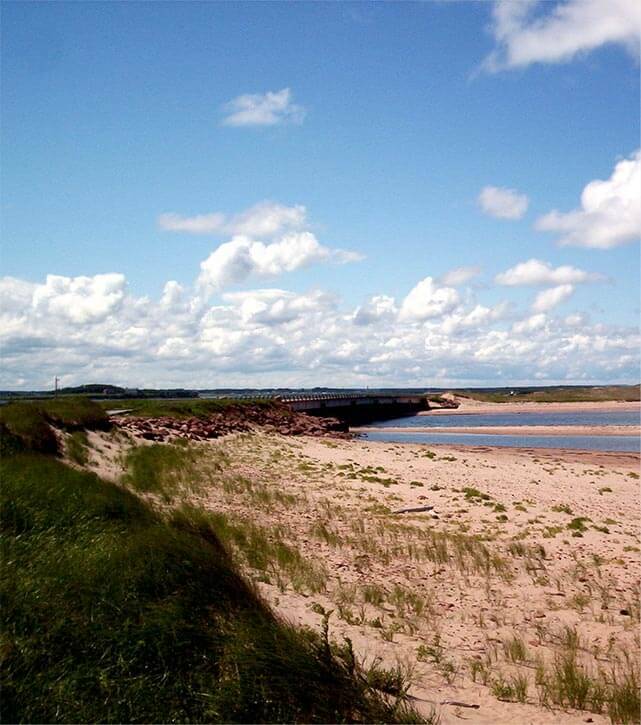 Prince Edward Island has no known offshore reserves. While the bureaucratic stage is being com­pleted, petroleum development is proceed­ing slowly. A small Halifax-based company, Corri­dor Resources Ltd., has conducted seismic tests on its undersea block, 80 kilometres off Newfoundland’s southwest corner, and is working on an environmental assessment. It must still undertake an “extensive public consultation,” complete further regulatory steps and find a partner to help finance the $55-million drilling cost. With drilling more than two years away, the company is seeking a third, indefinite, extension of its exploration permit past the current deadline of Jan. 1, 2016. Corridor points out that while prelimi­nary evaluations suggest its block could contain up to five billion barrels of light crude oil or seven trillion cubic feet of natu­ral gas, no deposits have been discovered. Part of the block is in Quebec’s waters, and work can’t proceed there until the new legislation is in place. Another junior company, Black Spruce Exploration Corp. of St. John’s, along with a couple of partners, plans this year to con­duct seismic and other preliminary activity and prepare environmental assessments on three neighbouring blocks estimated to con­tain about 750 million barrels of light crude. “We do not believe the result of that call for bids is indicative of the prospectivity of the area and certainly not of the wider Gulf of St. Lawrence,” Natural Resources Canada said in an emailed response to questions. “We wholeheartedly agree” with those who “extol the immense opportunity” and we’re committed to developing our properties, says Black Spruce president David Murray. 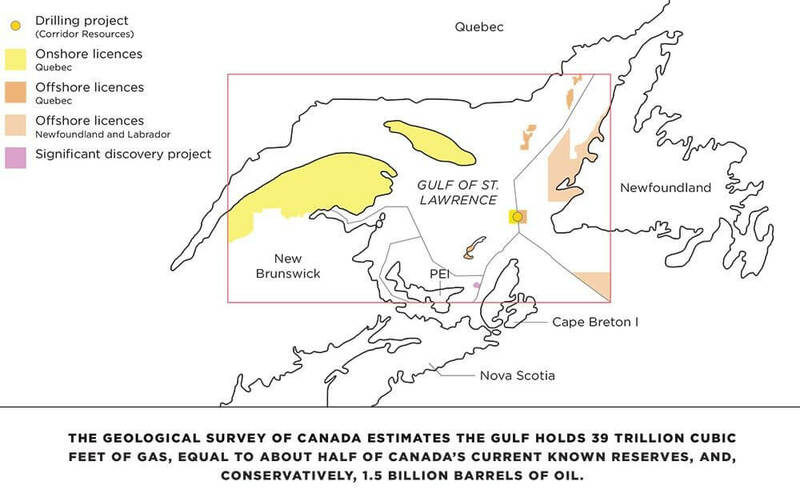 “The entire Gulf is an area of interest with potential for a hydrocarbon presence,” says Paul Barnes, Atlantic Canada manager of the Cana­dian Association of Petroleum Producers. Potential players face a labyrinthine regu­latory regime and the prospect of a tough le­gal battle with First Nations demanding a 12-year moratorium to allow consultation and a region-wide environmental assessment. The industry and its foes agree the Gulf’s environment must be protected. They dis­agree on the current regulations’ effective­ness and whether protection is possible no matter how stringent the rules. In addition, in response to complaints that Corridor’s environmental assessment was based, unrealistically, on a small spill of light, fast-evaporating crude oil in a calm sea, the board spokesperson says a “worst-case” scenario produced by Environment Canada would be incorporated into the en­vironmental assessment. Critics say this optimism overstates the indus­try’s ability to manage the Gulf’s many risks while understating its significance and fragility. of underwater features, creating ideal habi­tats for more than 4,000 species, from tiny krill to massive blue whales. This bounty and the beauty of the surrounding land support a $1.5-billion fishing industry and $800 million in tourism activities. Salmon, shrimp and snow crab stocks provide food and income for 40 First Nations. The Gulf is already stressed by pollution, oxygen-depleted dead zones and species loss and has qualities that make it an espe­cially hazardous, potentially ruinous, place to drill for oil and gas. It’s a semi-enclosed sea in which the tides, winds and counter-clockwise cur­rents not only create precarious operating conditions for petroleum development, but also would quickly spread spilled oil and other pollutants. Since it takes a year for the water to flush out into the open Atlantic the widespread damage would persist. If a spill happened when ice covered the Gulf, cleanup would be next to impossible. The critics say spill impacts would likely be far worse than even those from the 2010 Deepwater Horizon blowout in the Gulf of Mexico, because that body of water is six times larger than the Gulf of St. Lawrence and flushes far more quickly. An example of the risk, they say, is that Corridor’s block, known as Old Harry, sits within the 470-metre-deep Laurentian Channel, the sole passageway in and out of the Gulf for migrating blue whales and leatherneck sea turtles, both endangered species, as well as myriad other fish and marine mammals. They’re amused that while Old Harry was named for a community on the nearby Magda­len Islands, it’s also a sailors’ term for the Devil. The rest, they insist, is no laughing matter. Development decisions disregard their concerns as well as gaps in knowledge about species and their interactions, they say. Environmentalists can’t even seek legal protection for blue whales and other endan­gered species because their “essential habi­tats” haven’t been mapped, as required un­der federal law, notes Sylvain Archambault, of the Quebec-based St. Lawrence Coalition, another group pushing for a moratorium. As well, critics complain, the regulatory system divides the Gulf into areas of pro­vincial jurisdiction when, in fact, it is, eco­logically, a single body of water and must be managed as one. “Only a complete picture of the social, environmental and economic impacts would allow for an enlightened decision regarding the future of the Gulf, which must be stud­ied from every angle, instead of the piece­meal approach based on the administrative boundaries set by men, as is presently the case,” says “Gulf 101,” a report published last summer by the St. Lawrence Coalition. First Nations not only fear the environmen­tal impacts of petroleum development but also are angry about inadequate consulta­tion, says Troy Jerome, executive-director of the Nutewistoq Mi’gmawei Mawiomi Secretariat. The secretariat represents Que­bec’s Mi’gmaq nation and, along with Mali­seet and Innu groups, threatens legal ac­tion, based on treaty rights, if the demand for a moratorium is ignored. Oil and gas can’t be safely exploited with current technology, Jerome says. Whether that might change in 12 years, “I can’t say yes or no. We need to see the results of a proper study.” Such a review, he adds, would take at least a decade. If the issue went to court, the First Na­tions would rely on Supreme Court of Cana­da rulings that have progressively enhanced aboriginal rights to be consulted and accom­modated about development on territories where they’ve submitted land claims. Archambault notes some progress among regulators, particularly toward un­derstanding that “water and fish don’t rec­ognize provincial boundaries.” A report for the Quebec government said the Gulf should be studied as one area. Two Prince Edward Island Legislature committees made a similar recommendation. During its Strategic Environmental Assessment, the Newfoundland board held hearings in each Gulf province. Still, industry opponents insist the search for oil and gas must stop. 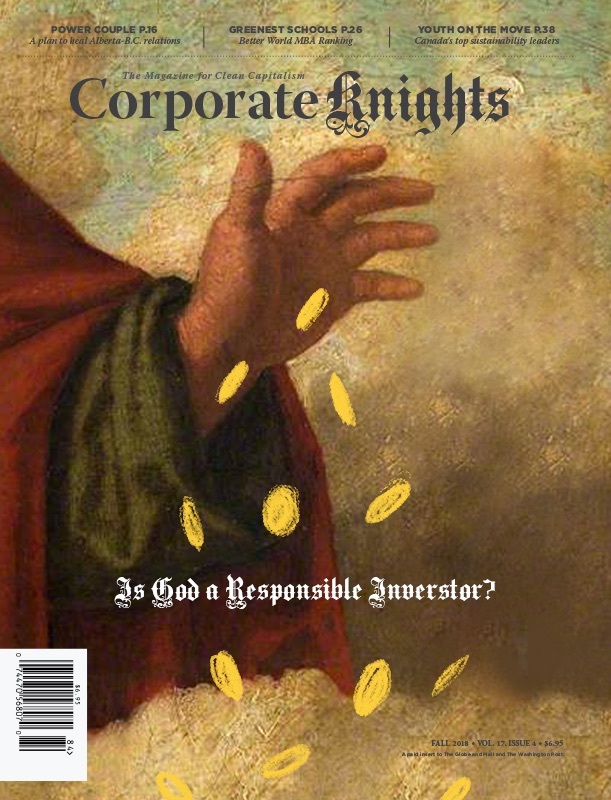 And on the other side: “If you don’t stop the industry before they start … it’s game over,” Gorman says. “We just keep on keeping on. The only thing they can’t control is the passion of the people. Their biggest problem is that some of us can’t be silenced.